Heloisa Escudero was born in 1973 in Sao Paulo, Brazil. Most of her work is conceptual art based on sculpture, photography, video, sound, installations and performance video. 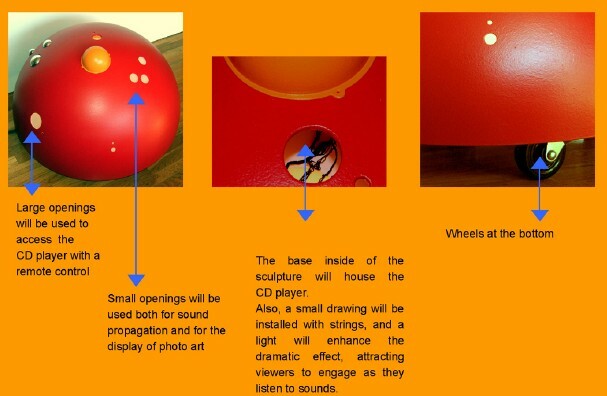 Hollow dome sculptures will hold CD players attached to speakers radiating sound from the inside through openings on the surface. 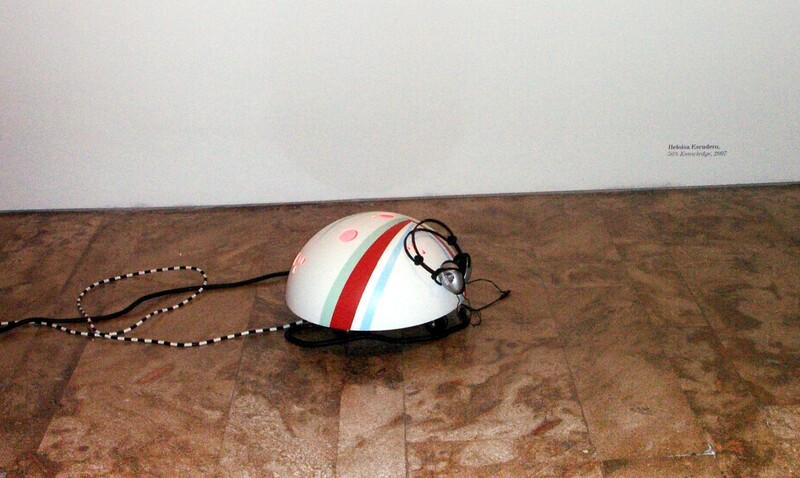 Extra headsets may be attached for closer listening of the sound art. An outlet may be used to light the inside of sculpture for additional dramatic effect (this is optional, if electrical power is available). In this case, we will display photographic images through several of the openings, which will directly relate to the sound-art. This project deals with the complexities of human behavior from an epistemological viewpoint. Each piece holds one element that attracts viewers to engage with the object in a discovery process. To what extent and how viewers interact and interpret the sculptures and sounds is an integral component of the character of each observer, and reflects both on the fundamental foundation of knowledge imbedded in each of us as well as and in combination with the physical environmental we interact with on a daily basis, which also shapes each of our individual characters. The object is titled “50% knowledge” in a literal reference that points to the sculpture and sounds as equal contributors to the artwork, which is shared equally with the viewer/observer, which is the other 50% of the knowledge/art.